Our bodies go through incredible transformations as we age. Some of these changes occur in small steps, such as our metabolism slowing down or our energy levels decreasing. When it comes to these changes, the classic remedies of diet and exercise are key to prolonged health long into our later years. Some of us experience a change in our sleeping habits as we grow older, as well. While some find it difficult to fall asleep, others of us can’t keep our eyes open past sunset. When we have trouble sleeping, there are healthy habits we can put into place to facilitate restful nights, as well. Making sure the sleeping environment is comfortable, quiet, and peaceful is one step, but setting regular bedtimes and being sure to exercise in the early evening are both ways to foster good sleep in older age. The list of healthy habits goes on and on, and we know that preventative medicine is often the most effective. 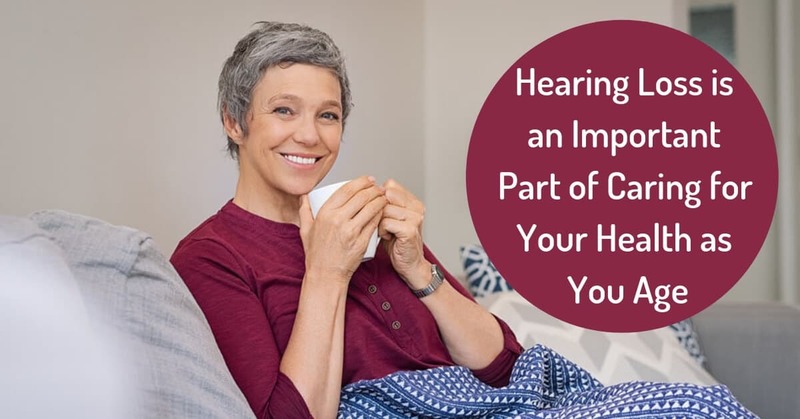 In addition to these regular habits that can promote good health into the later years of life, did you know that hearing health is another area to consider? Protecting the hearing you have and assisting the hearing you have lost are two components to health care as you age, and the ripple effects into other areas of life may come as a surprise. The following tips can help you maintain hearing health as part of the natural aging process. We know that hearing loss is a natural part of the aging process. Yet, protective habits can make a world of difference when it comes to your ability to hear clearly later in life. If you are exposed to noise in your workplace or leisure activities, hearing protection such as earplugs or noise-cancelling earmuffs can preserve your ears’ ability to hear a broad spectrum of frequencies. Similarly, taking noise breaks can be helpful, limiting your exposure to these harmful sounds at regular intervals. One of the greatest risks to hearing, especially in younger generations, is exposure to damaging volumes through earbuds and headphones. Keep an eye on the volume level you are using on your device, as it can creep upward when you go into noisy environments. Try not to use your earbuds or headphones in these noisy environments, because they subject your ears to damaging levels of noise. Protecting your hearing is only one piece of the puzzle. If you’ve noticed changes in your hearing, getting assistance can be an excellent way to add to your overall health and wellbeing. The first step will be to get a hearing test and to consult with us at Pacific Northwest Audiology. A consultation with our team will set you in the direction of getting assistance for your hearing in the form of hearing aids or other assistive technology. Your audiologist will know best what kind of assistance you need. When you have your hearing aids in hand, they are only as effective as they are put into use. Get in the habit of using your hearing aids every day. Not only can they be helpful during conversations but also as you go about your daily activities and even while you are at home. Be sure to maintain your aids and to return to the audiologist or hearing specialist for periodic hearing tests to make sure your aids are assisting you to the best of your ability. Protecting and assisting your hearing can promote your good health in many associated ways, as well. We know that people with good hearing or who use hearing aids have lower incidents of falling injuries and depression, and there is even evidence of lower rates of dementia and Alzheimer’s disease. With these many associated health effects, practicing healthy habits with your hearing has never been more important. Take this opportunity to build some good hearing habits into your daily routine. Just like diet, exercise, and ample restful sleep, these healthy hearing habits will become even more important as you age. Don’t delay to take care of your hearing to look out for the “future you”! Have you experienced changes in your hearing? There’s no time better than the present to seek treatment and get reconnected to the sounds of your life. At Pacific Northwest Audiology, we provide comprehensive hearing tests and hearing aid fittings. To schedule a consultation, contact us today!